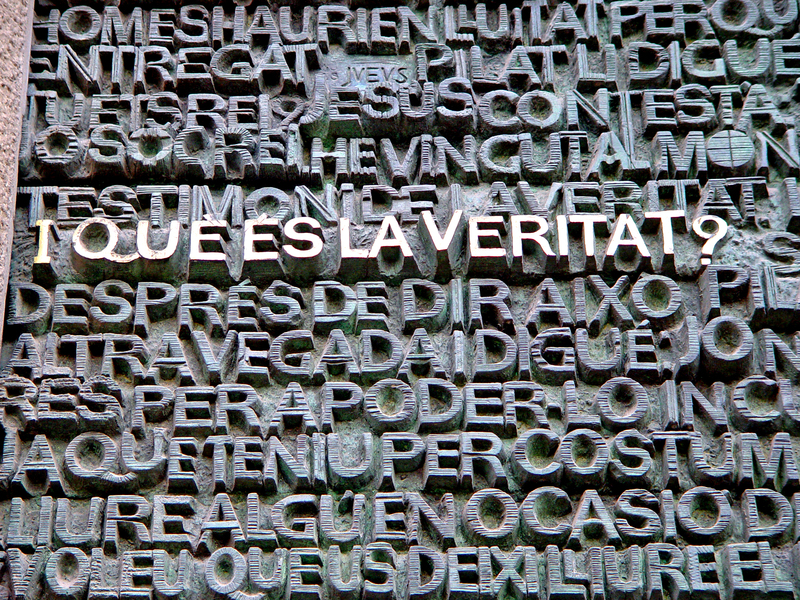 Pontius Pilate’s “What is Truth?” – stylized inscription at entrance to Antoni Gaudi’s Sagrada Família (Barcelona). Below is a collection of my thinking on the grounding and justification of moral truth. I am warming up for something. Future: Should have something recent on evil being a privation–and new work on the moral law. This entry was posted in Apologetics, Divine Essentialism, Euthyphro Dilemma, Gettier Problem, Golden Rule, Groothuis' 'Christian Apologetics', Is-Ought Fallacy, Justified True Belief, Keller's Reason for God, Moral Argument, Natural Law and Divine Command, Richard Dawkins, Sam Harris, William Lane Craig. Bookmark the permalink. Morality is an inherent function of any species of advanced sociality. Without a clear understanding of Universal Rights, subjective interpretation within a social construct will wander aimlessly — not unlike defining the construction of a musical instrument as never seen, hearing only the sounds it makes. Hi Drexus. Thanks for replying. I agree that morality is a sort of song sung by humanity, and that we can be in harmony with objective morality, or we can sin(g) out of tune with it. We need to be on the same sheet of music that describes the (Golden Rule) Music that is God (demonstrated in switching perspectives with us on the cross). Maryann. The morality supported by Universal Rights is as untenable to social constructs as Universal Rights are to any abstract social concept. As noted, Universal Rights are biological, not social. As a result, objective (social) morality is inherently subjective from the outset — contingent on nothing in support of a species of sociality — purely abstract. 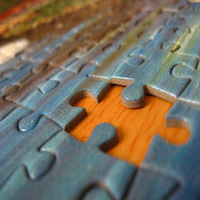 Genetic morality is however supported by Universal Rights, as it’s engrained in how our species functions — inescapable. Because of this, morality as commonly identified in modern society, misses the bus completely — sighting the abstract variant as an echo of the core (genetic) morality built into us all. Here lies the crux of the issue: Social constructs (intrinsically subjective) spawn only abstract concepts — as much out of reach of Universal Rights as would in passing a law forbidding water to boil at 100˚C. You can’t draw a straight line using a french curve, no more than you can define a human right without sourcing Universal Rights and call it sustainable. Subjective definitions of social morality as spawned by social constructs will forever miss the target until Universal Rights are observed. TGIF, Happy Hour, Long weekends, Healthcare benefits, School zones, Life insurance, Movie night, and Quiet time — all social constructs, existing only because a society says they do — hence, all are subjective. If a society reasons out a set of rules known as “human rights”, there’s absolutely no connection to anything sustainable until those rules follow Universal Rights. Universal Rights has been and will always be an unmovable constant. No social construct can deny or denounce it any more than gravity itself. Mammals need water to survive, hence, mammals have the Universal Right to drink water. No social construct can change this, it’s a natural function. The same “sheet of music” would be Universal Rights, for only under this can true morality support a species exhibiting sociality.